South Glens Falls may be across the Hudson River and in Saratoga County, but we here in Glens Falls like to think of this charming village as "ours." Located just southeast of downtown Glens Falls, South Glens Falls offers great family-friendly dining and activities, a prime brewing company, a famous cave, and more. Read on to see why you'll want to cross that bridge into South Glens Falls. 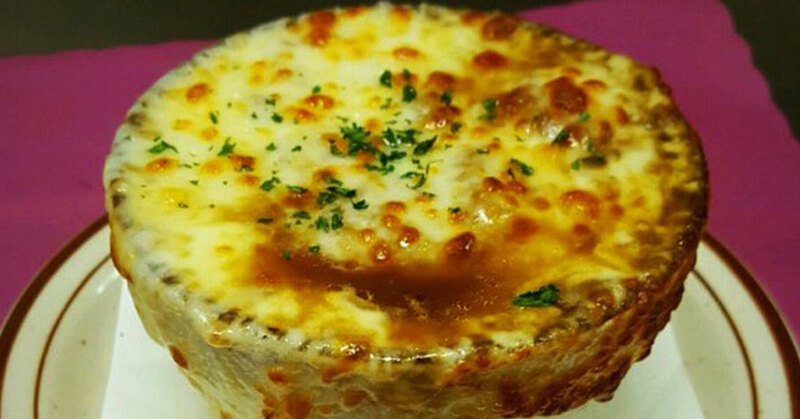 If you're looking for quality, affordable food with fast service this is literally the premise Peppermill Family Restaurant was built on. Back in 1990, John and Vicky Osakowicz moved to the area with their three sons and found it nearly impossible for a family of five to eat at a decent and affordable restaurant in the area. And they filled that void with the Peppermill Family Restaurant. The family uses tried and true recipes to fill their extensive menu with options like burgers, wraps, soups, salads, sandwiches, steak, seafood, and breakfast favorites like omelettes, pancakes, French toast, and more; they're open for breakfast, lunch, and dinner. "Family fun" is right in the name - Kingpin Alley's Family Fun Center has taken the nostalgic, feel good vibe of a bowling center and modernized it for the ultimate venue for a classic great time for families or a date night. This is the largest bowling center in the area with 42 lanes. 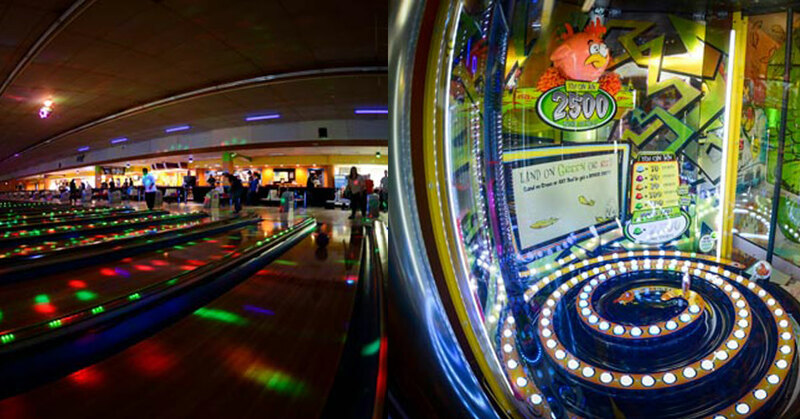 They offer family nights when bowling and pizza are included; a Galactic Bowl on Friday and Saturday nights with low lights, blasting music, games, and prizes; and, in 2014 they added a new redemption arcade. This arcade offers two dozen games, and you can win tickets to redeem for cool prizes or even cash. The Parks-Bentley Place is home to the Historical Society of Moreau and South Glens Falls and they host tours of the property, including the Moreau No.8 Schoolhouse, a one-room schoolhouse from the Town of Moreau that was moved and rebuilt on the Parks-Bentley property. They also offer summer hours, special events, various programs, and more. Tours are offered on Saturdays from 1pm to 4pm April through September, and Tuesdays July and August, also 1pm to 4pm. Programs and tours are free unless otherwise noted. 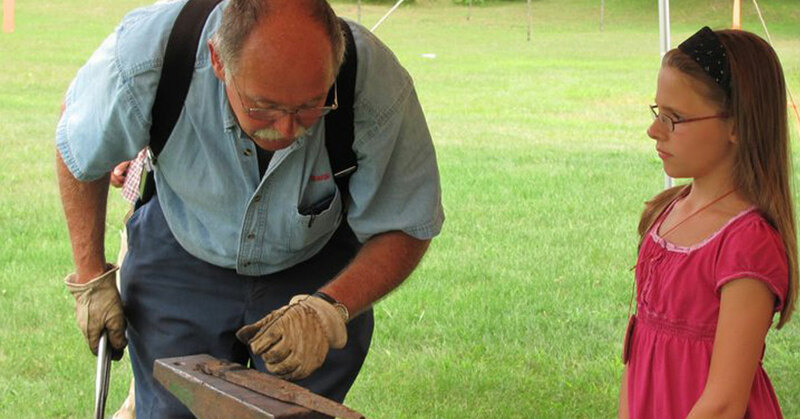 The historical society was established in 1986 and is committed to collecting, preserving, interpreting, and holding in public trust the records and artifacts that documented the history of the people of Moreau and South Glens Falls. The Moreau Community Center in South Glens Falls has a mission to meet the multi-generational needs of the community in an all inclusive environment. Although some of their programs and services are limited to residents of South Glens Falls and Moreau, many are not, including membership. This community center hosts a trivia night fundraiser, trips for seniors, senior and youth programming, and a variety of social activities like Bingo, crafting, painting classes, and more. 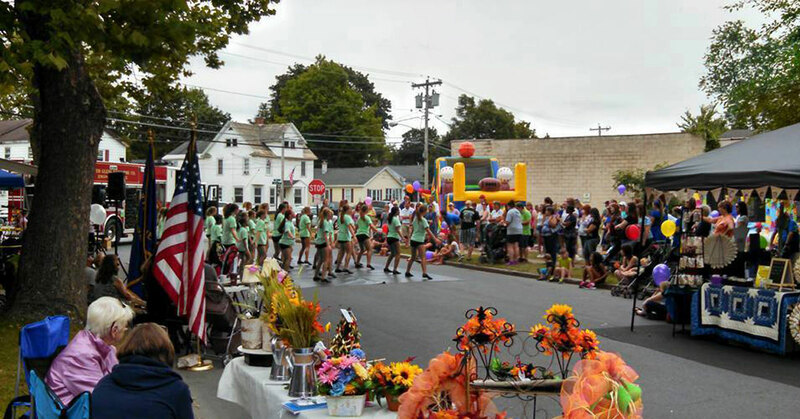 They also put on a massive block party each September, which is pictured above. 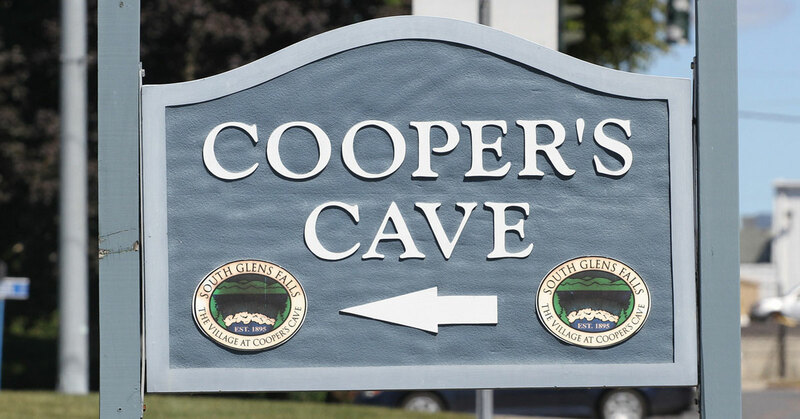 Cooper's Cave is possibly South Glens Falls' number one claim to fame. Cooper's Cave is situated below Cooper's Cave Bridge, which connects South Glens Falls and Glens Falls. Back in 1825, writer James Fenimore Cooper felt inspired by the cave he found here to pen his most famous and historical novel, The Last of the Mohicans. When you visit the cave named for Cooper you can feel the protection the Mohicans embraced when they chose this hideaway to bunker down in. Cooper's Cave is part of New York State's historic Independence Trail and is open from Memorial Day to October 31st every year from 9am to 8pm. You can check out a viewing platform offering information about Cooper and the Mohican tribe. 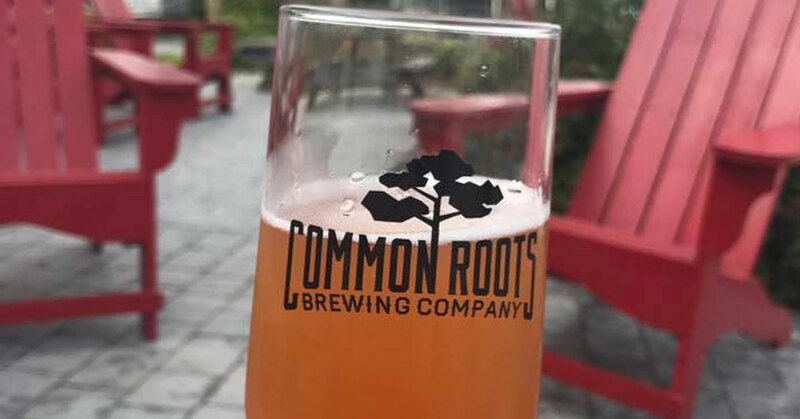 Common Roots Brewing Company combines old world traditions with new world inspirations to create their delicious craft beers. They offer a wide variety to satisfy all palates, emphasize connecting to the local community, and they run their business in such a way as to create the least amount of stress on local resources. Check out their pale ales, wild ales, IPAs, dark beers, and more. They also host a trivia night every Monday. 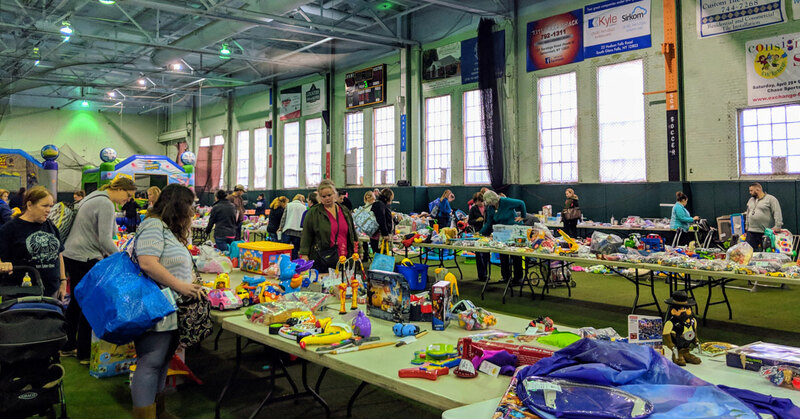 Chase Sports Complex hosts the massive Kids Consignment Sale each year when area residents flock from the North Country and all over the Capital Region to take advantage of amazing deals on kids clothes, toys, gear, and more. This sale usually happens twice a year, but is only happening once for 2019 on May 11th. Sale proceeds benefit nonprofit causes. As the name suggests, the Chase Sports Complex also hosts local sporting events, camps, programs, and more for baseball, softball, soccer, flag football, and lacrosse. So the next time you're looking for something new to do or a different restaurant to try, remember that South Glens Falls is just across the bridge!